Liverpool have climbed two places to seventh in the latest edition of the Deloitte Football Money League after a strong 2017/18 campaign. The Deloitte ranking breaks down the biggest club earners around the globe from the last campaign, in this case 17/18—when the Reds reached the Champions League final. 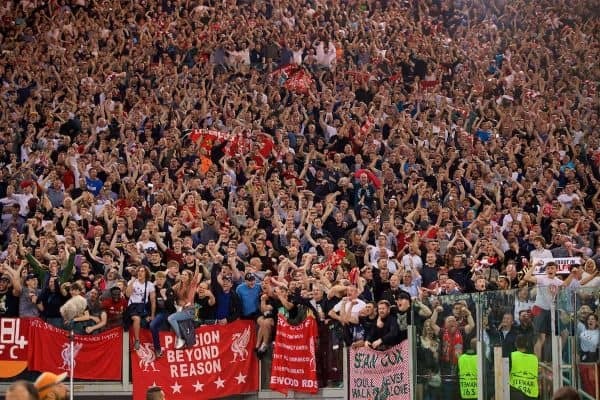 Naturally, the run to Kyiv meant huge increases in broadcasting revenue for the Anfield club, contributing to almost a €100 million increase in income across the season compared to the previous year. The total revenue for Liverpool last season was £455.1 million (€513.7m), up £90.6 from 16/17. Deloitte noted the impact that the run in Europe had on the club finances. 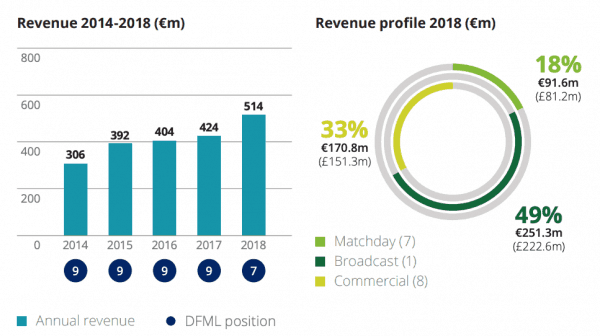 Liverpool’s broadcast revenue alone, which increased £65.8m to £222.6m as a result of amounts received from UEFA, would be sufficient for a place in the top 15 of this year’s Money League. In the wider context of the Money League, the Premier League‘s force continues to be on show as a whole. Although Man United slipped from first to third, six clubs from England’s top flight occupy top-10 spots—a record—and 13 Premier League clubs reside in the top 30 worldwide in terms of revenue. Liverpool’s push up the Money League highlights just how impressive the off-field performance has become, just as much as on-pitch displays have. The two are inextricably linked, of course, with the victories in Europe en-route to Kyiv providing more income with each passing round. 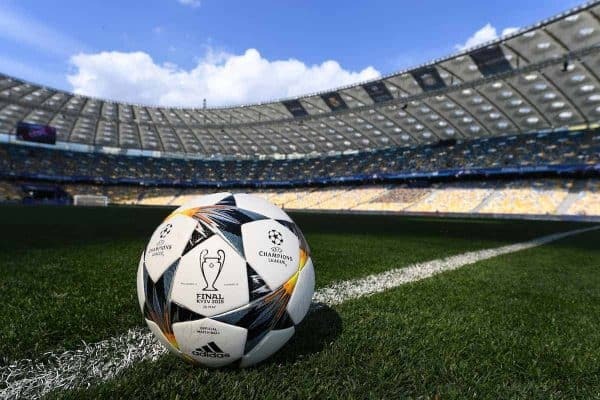 But the impressive and ongoing growth of the club has also been highlighted of late with the expectation that Liverpool will record an annual net profit of more than €100 million—becoming the first side to do so. And with the Reds riding high in the Premier League, pushing on in the Champions League again this season and at the beginning of negotiations for a new and extremely lucrative kit deal, it’s clear that the financial side will remain in exceedingly good health for some time to come. 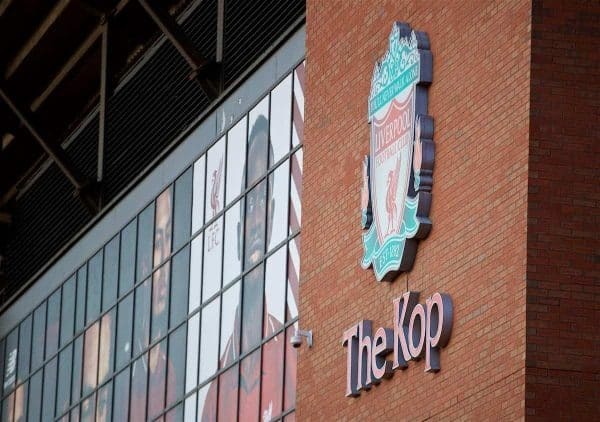 Taking it back to the footballing operations, with the Reds’ recruitment having proven just as impressive over the past few years, such financial boosts should, in turn, mean fans have a lot more to enjoy over the coming seasons on the pitch, too. * You can view the full Deloitte report, here.